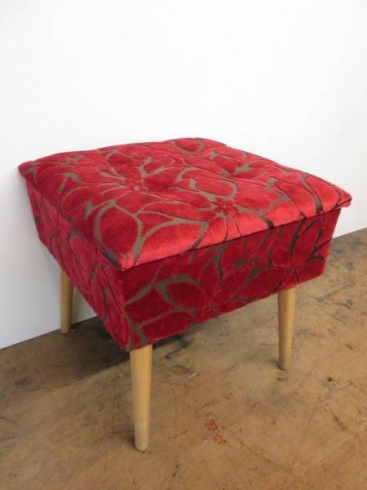 Pretty buttoned sewing box/stool, sat upon four newly polished removable legs. 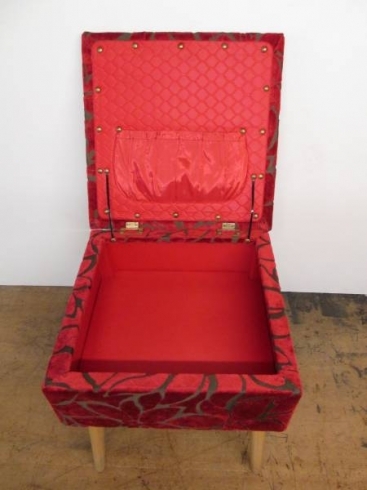 I have re-upholstered the box with new fire retardant padding and fabric. 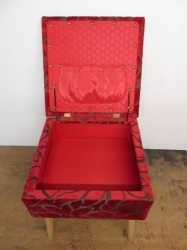 The original interior lining has been kept and the sewing box has its makers label attached to the base. A fab looking funky and retro practical piece, now ready to hold all your sewing bits and bobs.